Admissions Essay: Describe a character in fiction, a historical figure, or a creative work (as in art, music, science, etc.) that has had an influence on you, and explain that influence. For Marvin Krislov, no one made a bigger impact on his life than Nelson Mandela. His desire for social change and equality led him to study Mandela’s life and even visit the prison in which Mandela was incarcerated. Mandela is a major influence for his book on affirmative action in higher education. Read Krislov’s Wall Street Journal essay on Mandela’s influence. 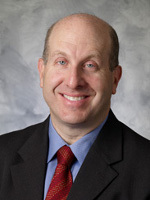 Marvin Krislov is the current president of Oberlin College and the former vice-president and general counsel for the University of Michigan. He is co-author of the book, The Next 25 Years: Affirmative Action in Higher Education in the United States and South Africa.